Capel Vale Wines collects data in two ways; Actively and Passively. Actively collected data is information voluntarily provided by you by submitting a contact form, purchasing from our wine store, signing up as a Friend of the Duck member, or by communicating with our company where it is obvious what data you are volunteering. Passively collected data is information collected behind the scenes such as which pages you visit on our website, or the advertising campaign that brought you to our website. We do not use passively-collected information to determine your identity. Your identity is voluntarily provided by you, via an ‘active’ method. More specific details on the methods we use to collect data are described below. Certain forms request other information, such as the products you are purchasing, the coupon code you have used, the wine pack membership you have selected, or your credit card details if purchasing through the Wine Shop. Capel Vale Wines utilizes third party organizations to collect and process this information in a secure, compliant manner. For more information, see the section Who Capel Vale Wines shares your data with below. Advertising Campaign information that is not visible on our website forms may also be submitted along with the visible information in our web forms. The search term you entered into search engine that bought you to the site. The content of the Advertisement that bought you to the site. Cookies are small files that are placed on your computer by websites that you visit. They are widely used to make websites work, or work more efficiently, as well as to provide information to the owners of the site. Most web browsers also allow some control of cookies through browser settings. To find out more about cookies, including how to see what cookies have been set and how to manage and delete them, visit www.allaboutcookies.org. Web beacons (tracking pixels) are tiny transparent images embedded in ads on web pages to track how many users visit our website or view our digital ad to help us understand how users are interacting with our website. For statistical purpose, Capel Vale may collect website usage information and store it in log files. These logs files will contain standard information collected by web servers, such as client IP address, browser type, internet service provider, operating system and the like. This information is used internally to administer our website and to gather demographic information about our user base. Directly collected information on our website is important to us to make sure you receive all the information necessary to use our products and services. 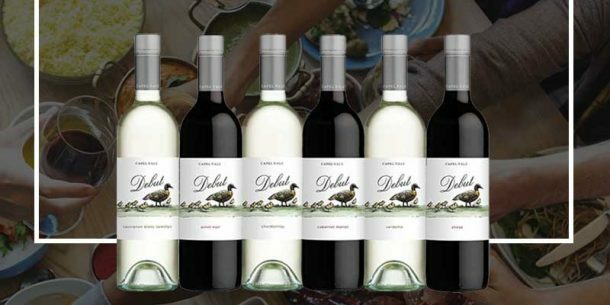 You have landed on the Capel Vale Wines website and performed a ‘positive action’ by making an enquiry, purchasing wine, becoming a Friend of the Duck member or signing up for a wine pack membership, so we need to be able to contact you to provide you with the order or information you have requested. Respond to your requests and questions. Communicate updates to our products and services. Communicate issues in our products and services. Communicate best practices and useful ‘how to’ information about Capel Vale Wines’ products and services. Request your involvement in reviewing our products and services. For our staff to communicate with you directly. As mentioned, we use third-party services, cookies and beacons that may collect information about you such as the advertising campaign that resulted in you finding our website, and submitting a form (what we call a conversion). Passively collected information is important to us to make sure we’re not wasting our money or time on marketing methods that don’t work, or building web pages that no one looks at. This allows us to focus our efforts in the right places, and build better products and services for you. Provide us information about website usability, user interaction and number of users. Track and analyze trends and patterns to improve our website and online ads. Help us identify you as a repeat visitor. Provide you information on our products and services that may be of interest to you. Provide you with more relevant advertising online. Manage and track the effectiveness of our marketing efforts. How does the data we collect affect you? If we have collected direct information from you, you may receive emails from Capel Vale Wines, or third parties acting on their behalf, to update you on our products, services and offers, and emails or phone calls from employees at Capel Vale Wines, or third parties acting on their behalf, to make sure you are happy with your products, to confirm delivery or payment of an order, or to provide information on members only wine promotions. If we have collected passive information from you, you may see advertising messages from Capel Vale when visiting other websites. This data is not personally identifiable but does make up the statistics Capel Vale Wines uses to analyze website activity. For example, your browsing activity on our website will count towards the ‘number of sessions’ and ‘number of unique visitors’ on our website. Capel Vale uses some authorized service providers to collect and store your data. For example, the data you submit in forms on our website is collected securely in a database on our web server, and sent by secure email to our internal email addresses, before it is securely posted to our email marketing provider. Capel Vale Wines only uses authorized service providers that guarantee compliance with the Australian Privacy Act 1988 and the GDPR, and where we have signed a binding Data Processing Agreement (DPA) with them. Although these service providers may have access to personal information needed to perform their functions, they have entered into a contract that requires them to use your Personal Information only for the provision of services to us in a manner that is consistent with this policy. Individual Capel Vale Wines employees also have access to the data you have submitted to us, either actively or passively. We have policies in place to ensure your data remains secure and confidential and is never shared with third-parties without your express permission. All online transactions through our website are handled with industry-standard SSL (Secure Sockets Layer) encryption. Secure SSL means that when you enter your credit card number into our secure order form and press the purchase button, your information goes through a secure encryption process. This prevents any person on the Internet from seeing any information you submit. Your payment is authorized without human intervention. For example, if you click to make a reservation at Match Restaurant by clicking on the ‘dimmi BOOK ONLINE’ button on our Match Restaurant page, you will be taken to a third-party website to complete the reservation. We recommend that you consult the privacy statements of all third-party websites you visit by clicking on the “privacy” link typically located at the bottom of the webpage you are visiting. When you submit your details on our website, you may be given a choice as to whether you want to receive email messages and/or newsletters about product updates, improvements, special offers, or containing special distributions of content by us. At any time you can choose to no longer receive commercial or promotional emails or newsletters from us by using the Unsubscribe option on the footer of the email. You also will be given the opportunity, in any commercial e-mail that we send to you, to opt-out of receiving such messages in the future. Please allow up to 10 days for us to process an opt-out request. We want you to feel confident using our website. However, no system can be completely secure. Users should also take care with how they handle and disclose their personal information and should avoid sending personal information by insecure email. Please refer to the Federal Trade Commission’s website at https://www.consumer.ftc.gov/ for information about how to protect yourself against identity theft. Primax Pty Ltd Producer Licence number: 6180028639. Lot 5 Stirling Estate Capel WA 6271: +618 9727 1986.